On My Kindle | What Next? Just before we left on our two month trip to Arizona and Hawaii, the people at Amazon sent me a new red leather cover for my Kindle. I’d been having a lot of difficulties with my Kindle–it would shut off unexpectedly on me at regular intervals. The very helpful Kindle trouble-shooter who phoned me only minutes after I registered my concerns on the Kindle website, told me some of the original brown covers they had sold for Kindles seemed to interfere with their operation. He’d ship me a new red cover for free. Sure enough a brand new cover arrived the very next day delivered to my door by UPS. I was impressed! My Kindle has worked like a charm ever since. Although I’ve joined the public library in Winnipeg and I’m making a concentrated effort to get more books there to save money, for two months of traveling the Kindle is perfect. Here are some of the books I’ve been enjoying. 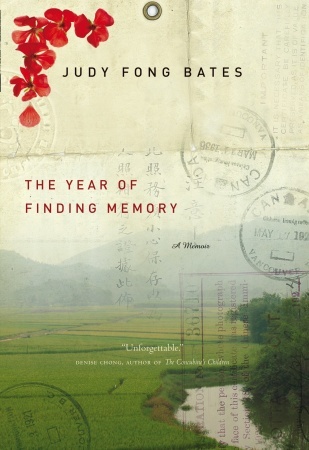 My friend Esther recommended Judy Fong Bates’ The Year of Finding Memory. Written by a middle-aged Canadian woman, it tells the story of two trips she made to China to meet her family. Judy immigrated to Canada with her mother as a small child, joining her Dad who ran a laundry in a small town in Ontario. Later an older brother and sister were able to come to Canada too, but the rest of her siblings, aunts and uncles and cousins remained behind in China and Judy had never met most of them. Together with her husband she makes a pilgrimage to discover her roots, the places and people her parents have talked about so often. I identified with this book on many fronts. This last summer my husband Dave and I traveled to Ukraine to discover our family’s roots and see the places our grandparents spoke of so often. Since I have traveled in China a lot, many of the places in The Year of Finding Memory were familiar and it was nostalgic to read about them, as well as re-live the traveling in China experience which is always unique. I have done several posts about remembering the past and it was interesting to see how Judy’s visits to China helped her to see her parents, both now dead, in completely new ways. The things about her Mom and Dad that had troubled her so much, were now easier to understand. 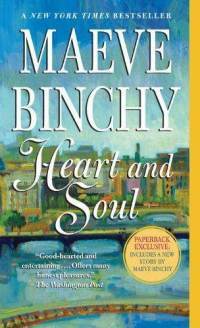 Maeve Binchy is a favorite author of mine. I’ve read most of her books. My favorite remains Glass Lake, although Circle of Friends is a close second. I’ve heard several interviews with Maeve and I love the fact that she is such a down to earth and happy person. In a recent interview she said her philosophy of life is “you play the hand you’re dealt” and she is convinced anyone can be happy if they are determined to have a “glass half full rather than half empty” perspective. Maeve describes her settings and characters so well you have the feeling if you walked down the street in one of the Irish communities where she sets her books, you would recognize the various stores and homes as well as each person you met. Heart and Soul takes place in a clinic for patients who have had heart attacks, and as various people’s stories are told in each section, the story of the book itself moves forward. If you’d like to meet Maeve check out her astute observations about the differences between men and women in an interview she gave when Heart and Soul was published. The Tiger’s Wife is really three stories. Two are mystical and almost fairy-tale like, and the third is set in the real world. The real world story is about a young woman in the Balkans who has had a close and loving relationship with her grandfather and is trying to unravel the mystery of his death. The first mythical story is about a deathless man and the second about a woman who has a romantic relationship with a tiger that terrorizes her village. I enjoyed the real world story the most, but it got confusing for me as the two surreal stories kept interrupting the plot line, although in all honesty they also gave one insight into the grandfather’s character, since he had told both these stories to his grand-daughter. 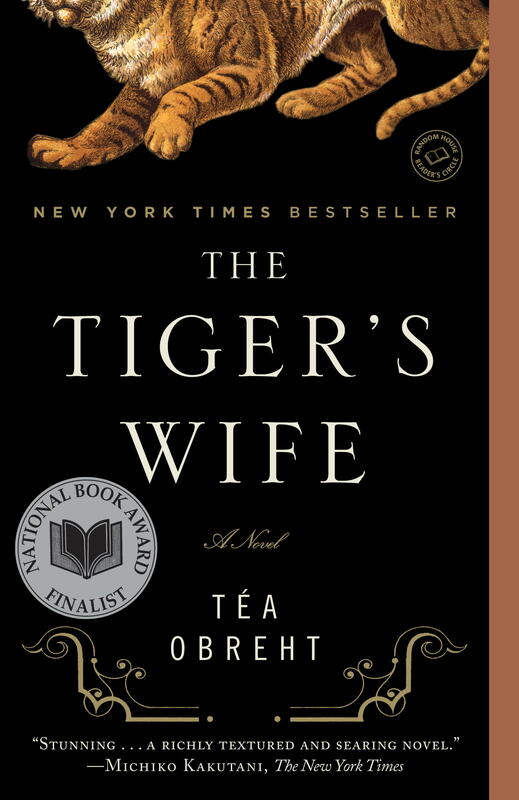 The author of The Tiger’s Wife, Tea Obreht is only twenty-five years old and this is her first novel. You can watch a very interesting PBS interview with her about the book if you are trying to decide whether it’s for you. What next? I need to download some books on my Kindle for the drive back ot Manitoba. Any suggestions? I came across your very interesting blog and see that you live in the Ashdown. I have lived here since 01 but selling my place. I have moved to the Prairie Housing Coop on Market. You have a great site here, diverse, informative and very interesting!